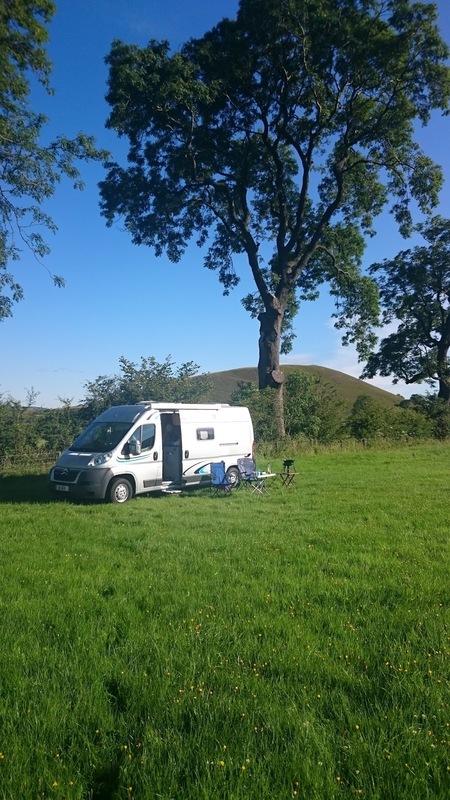 We spent last weekend on a CL at Angram Green, just outside the village of Worston, near Clitheroe, Lancashire. The CL is in a large field so even if the 5 pitches were taken, there would still be plenty of room for everyone to enjoy some peace. 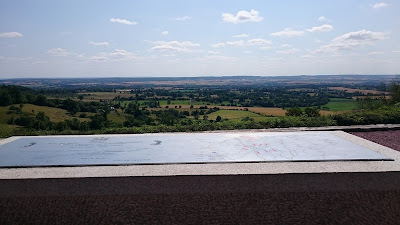 Although basic (bins, fresh water and chemical disposal point), at £7 per night and with lovely views, we enjoyed our two nights. 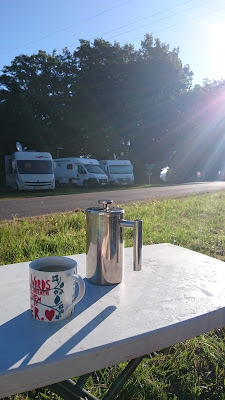 Although I'd thought of not renewing our Caravan Club membership, with half-price M6 'Troll' road fees and some great CLs (which save for posh facilities and bars/restaurants offer the same as more expensive campsites), I reckon we've had value for money already. 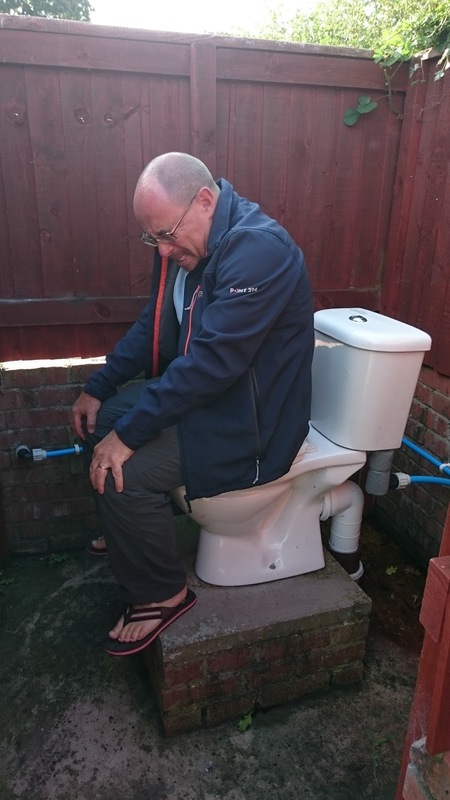 After a day at work, we drove up to the storage site to collect Nido, filled up with fresh water and headed north on the M6 - I say headed, actually we crawled along covering jsut a few miles in an hour! I also forgot to put the water filler cap back on, as I discovered on arrival at the CL, but luckily the storage owner found it and it was finally reunited with Nido on Sunday evening. I also wanted to fill up the LPG tanks. We'd been away for two weeks in France and a weekend since last filling up, so I was interested to see how much we had used. I (after two failed attempts!) finally found a garage that had access to LPG and was pleased to see it took under 10 litres (at 55.9p per litre) which equates to just over one 6kg bottle used, so we still had plenty in reserve. Due to the traffic we were about an hour late, but the CL owner met us on arrival (I think they could see us approaching from their farm). He let me know we had the field all to ourselves so could pitch anywhere. 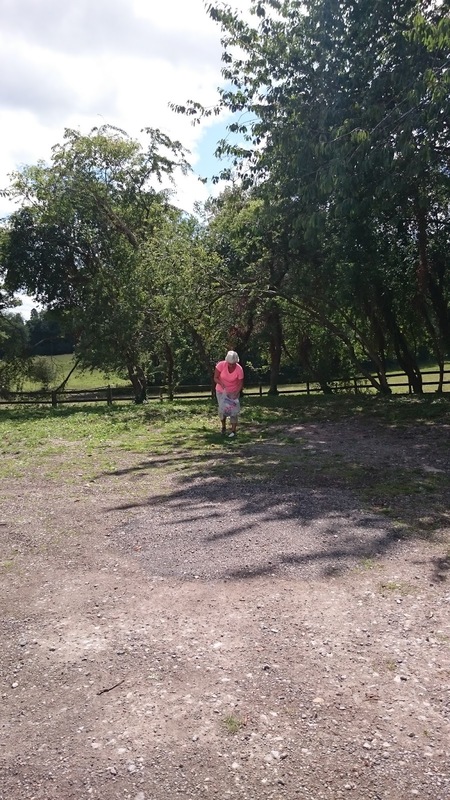 He also apologised for the grass being so long and pointed out areas down by the trees that were more level and not so long, but Cathy liked it as the grass and clover attracted lots of bees! We pitched up and had a quick brew, watching the remains of the sunset, before enjoying our dinner of hot dogs, onions and salad (all prepared by Cathy that morning) - plus a glass of red. After a long day and now nearly dark, we settled down for a sleep in the peace and quiet - my ears were ringing from the silence. The only sounds were the odd owl and some strange thumping sounds - perhaps the Pendle Witches doing circuits on their broomsticks!? If you're interested in the history behind the Pendle Witch trials, you can read more here. We woke to clear blue skies and warm sunshine after quite a chilly night. 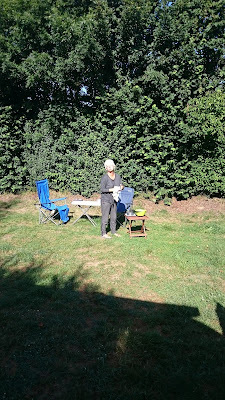 Breakfast was cooked and enjoyed outside and Cathy sorted our picnic ready for a walk. I'd downloaded a 10 mile walk and we headed off at about 1030. The first section took us along the bottom of Pendle Hill and then climbing (via some lovely old stone barns, both of which were occupied by sheep and one by an old wooden horse cart) up the moor to come out on the road opposite the Pendle Ski Slope and next door was a bar and restaurant - The Wellsprings Inn - which specialises in Spanish and Mexican food; the views from their outside tables and car park over the valley looking toward Clitheroe were amazing. On the walk up to the Nick of Pendle, para-gliders flew above us, having thrown themselves off the top of Pendle Hill and a professional road cycling team passed us, supported by a couple of team cars - I was attempted to run alongside them shouting "Allez, Allez, Allez" but suspect firstly that they would think I was mad and secondly I would be out of puff before the first "Allez" was out! We walked down the hill into Pendleton and sat on a bench by the beck to enjoy half of our picnic, saving the rest for later. Onwards, we walked into Worston and stopped at the Calf's Head for a quick pint, good timing as it rained for about half an hour before the sun reappeared. Heading out toward Downham, we were met by Billy the horse and his minder. We were munching apples as we walked and Billy took 'great' interest in these - Cathy cracked and donated hers! As we approached Downham we could hear a band playing (brass or silver, no idea which) at what looked like a village fete. We sat on a bench by the beck and enjoyed the rest of our picnic, with a brew and cake. As we ate the cake we saw Billy and minder walking along the road on the other side of the Beck - luckily he didn't spot us or the cake, although his chance of Cathy donating any of that was zero! A couple of Americans were also taking a keen interest on the bench we were sat on, even taking some photos of it as we sat there! When we checked out the plaque on the backrest we saw it was donated by someone from the Mormons. A quick Google search found that a Mormon leader - Richard Douglass - was born in Downham in 1828, emigrating to Utah in 1852. Picnic done, we completed the final section of the walk along the base of Pendle Hill, back to the campsite. We sat in the sunshine resting our legs and enjoying a brew, followed not long after by a G&T apero! Dinner was a kind of chicken paella/rice thingy, all cooked in one pot for ease and eaten outside in the setting sun. 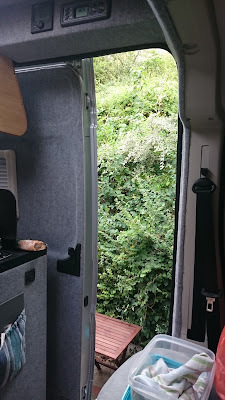 With the washing up done, it was starting to get a bit chilly in the breeze, so we moved into the van and played a word game (I think I won!) before heading off to bed. 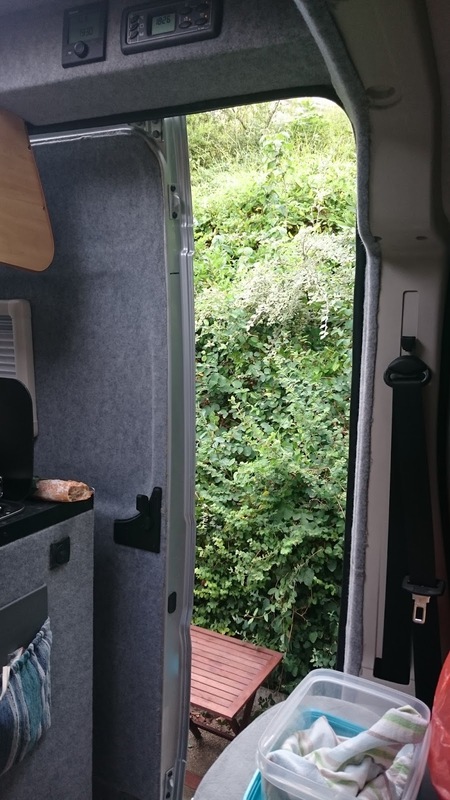 We had a lie in and opened the van to high cloud and a breeze, but at least the forecast rain hadn't arrived - yet. We again had breakfast outside, albeit wearing a jumper and just finished washing up when the rain started. So we packed everything up, emptied waste and drove off, heading for the coast at Southport in an attempt to extend the weekend. Unfortunately the weather worsened and this really didn't help Southport, which I doubt would have looked any better in bright, hot sunshine - what a dismal place! 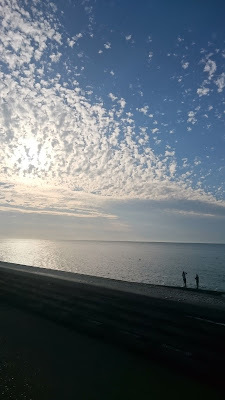 We saw a sign for a beach car park and pulled into a small, grubby area, full of large, water-filled pot holes and the 'beach' nowhere in sight. 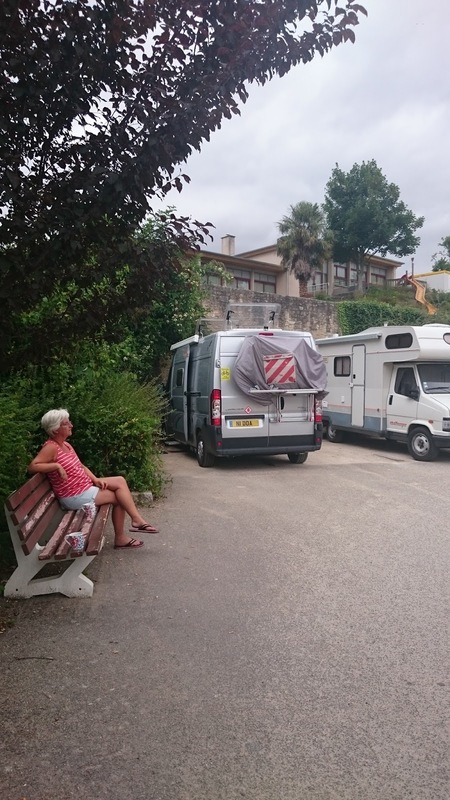 A German motorhome was parked up with no sign of the occupants. How they must be regretting their decision to holiday in England! On the way out we passed the Pontins Holiday Camp - it's the height of the season but it looked empty and the 'chalets' reminded us of the condemned naval housing at Rowner - grim. We won't be returning to Southport. Nido back in storage, we were soon back home, enjoying a shop-bought pizza with some salad and wine, watching 'Place in the Sun' to plan future long-term trips as the rain lashed down outside. Still, we had a good Saturday and enjoyed our weekend away. Nido looks very small in that big field! Barn door graffiti - dating back to 14th October 1897! A Pendle Witch.....or one of Cathy's relatives? Billy the Horse - after his apple and no cake! 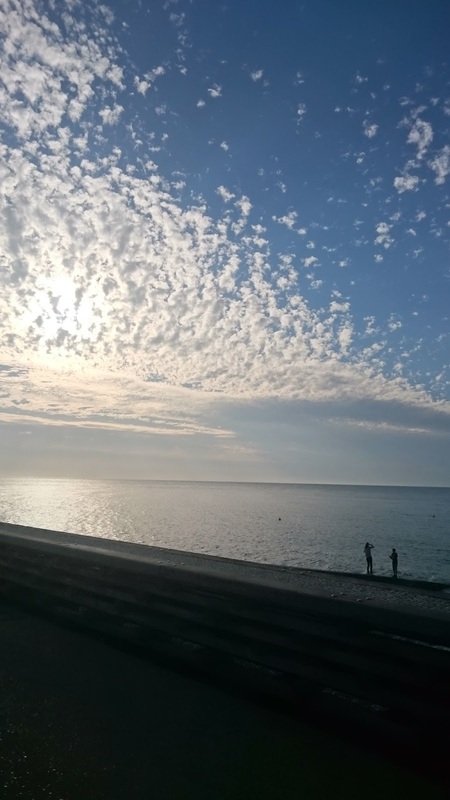 We were suffering Nido withdrawal symptoms after our two weeks in France, plus we wanted to get out of the rut of mooching around at weekends. So we've decided, during the summer months at least, to get away as often as possible. Clearly this could be expensive if staying on campsites, so Britstops and CLs will keep the cost down. We also want to keep our drive to between 1 - 1.5 hours, especially if we don't leave until early evening on a Friday. With this in mind I looked for a CL close to home with some nice country walks and booked this CL, in Haughton close to the village of Bunbury, about 30 minutes drive down the A49. 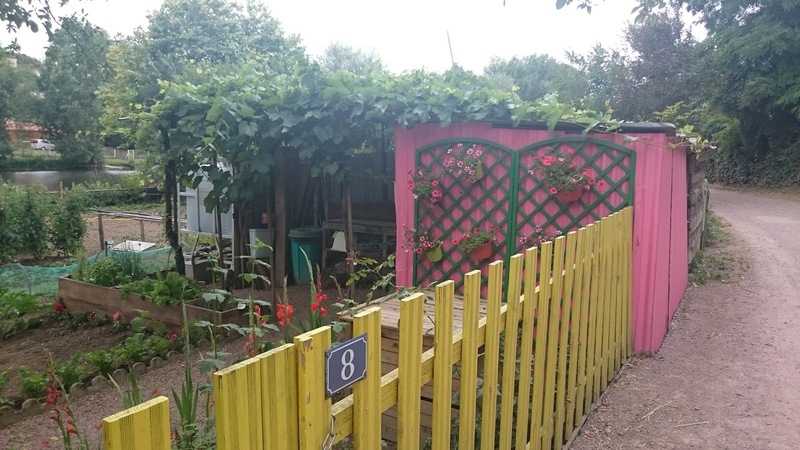 This is a typical 5-pitch CL but also has a self-catering apartment, so they have their own website. Cathy had already collected Nido from storage, so when I reached home it was just a matter of quickly changing and hitting the road. The journey was fine (for a Friday!) and we arrived at the CL at about 1800. The owner was away but the CL was being looked after by a friend, who was very welcoming, and we had a choice of three pitches, the other two already taken by caravans. All pitches are grass, but on well-drained sandy soil. In fact it rained hard over Saturday night but the next morning the ground, although damp, wasn't waterlogged at all. We hooked up and decided to walk up to the local pub - The Nag's Head - just a few minutes away. 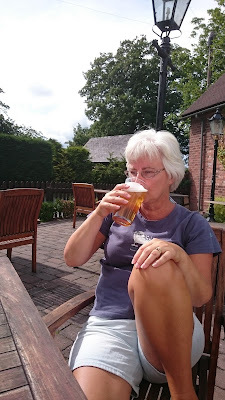 We both enjoyed a pint of 'Cheshire Cat' ale sat outside in the sunshine. The menu looked pretty good and, sadly, we missed 'chippy tea Friday' by half an hour, but I'd already planned our dinner. Back at the van I made some beefburgers, cooked on the Cadac with a cheese topping, with toasted muffins and a salad. We were soon nodding off so headed to bed early. We slept really well and after breakfast, made some sandwiches and a flask and headed out for an 8 mile walk. It was mainly through fields with lots of stiles - and lots of 'Bovins' - aka cows! And they were quite aggressive, they didn't attack us but they did run over en-masse (and 50 cows running towards you is scary!) and had to be waved away. Back home Cathy did some research online and there were lots of reports about cows starting to become quite aggressive, much of the evidence pointing towards steroids and hormone intake (not that they have a choice!) and early (36 months) slaughter, so there are no matriarchs to teach the others that us humans aren't a threat. Mind you, we did follow one group of walkers into a field who let their black labrador run free - crazy. 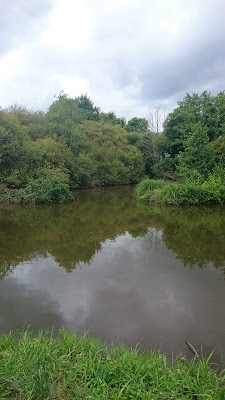 We adapted the walk to initially head away from Bunbury so we could walk some of the Shropshire canal. Bunbury was a nice village with an interesting church dating back to the 14th Century - St Boniface - extremely large for such a small village and with a very welcoming feel. It included the tomb of Sir George Beeston who in his time was Admiral of the Fleet and commanded HMS DREADNOUGHT during the Spanish Armada battle at the age of 88 - he lived to the grand old age of 102. Our return route (through Bovin-infested fields!) took us back past the Nag's Head, so we sank another pint in the sunshine to recuperate and recover! Back at the van I prepared dinner - a sort of paella with vegetables, chorizo and bacon, cooked in Oska. For apero we had a G&T with some small eats of the last of our French roast chicken rillette on toast. Tired again quite early on, we were soon nodding off. It rained quite hard in the night but we woke to clear skies, although still quite windy. 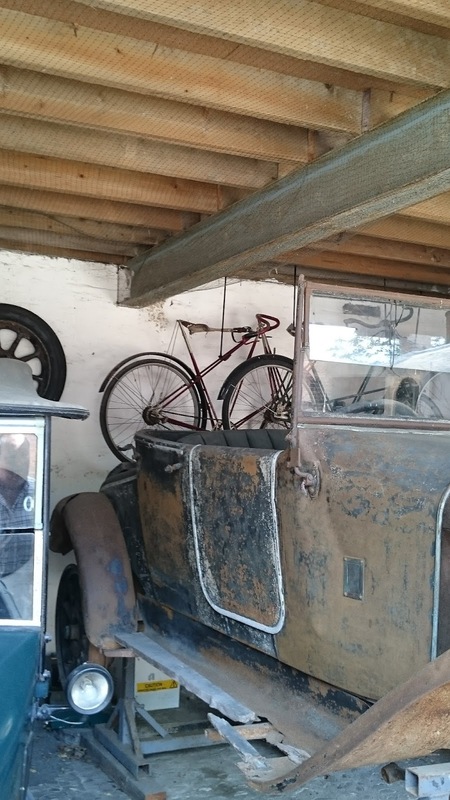 Breakfasted and with all waste dumped, we drove off to the National Trust property at Erdigg, just inside Wales. 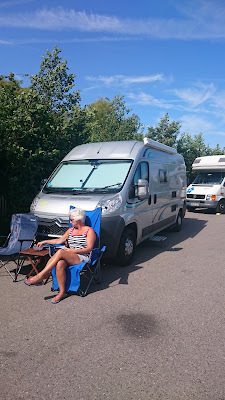 There was clear coach & motorhome parking so we stopped there. 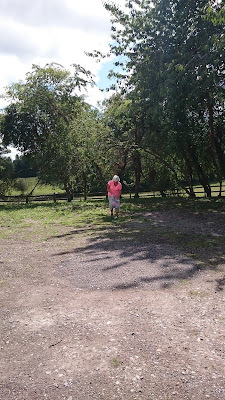 Some past visitors had thrown rubbish on the car park - Lambrini and lemonade bottles everywhere, not only litter louts but with no taste either! Cathy did her 'glitterati' gig by bagging it all up and taking it into reception, which earned her a free guide in thanks. We had a good wander around the gardens and also the house. We always seem to enjoy the servant's areas and quarters rather than 'upstairs' - we know our place! We had a quick cup of tea then decided to eat in their restaurant to save cooking when we get home. We dropped off Nido at his storage home and came back in Cathy's car. Next weekend maybe we'll go a bit further with the aim of finding some more challenging walking - perhaps with a few hills but hopefully fewer grumpy cows! The chemical disposal point was interesting - I was only pretending - honest! 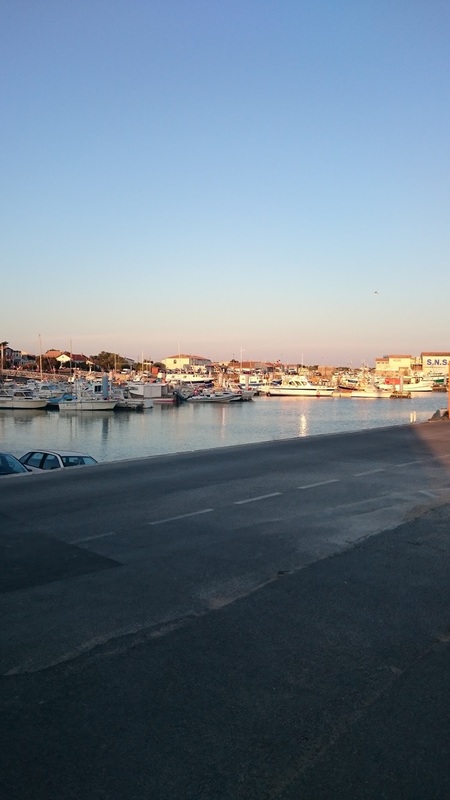 We're on the free aire at Wissant, just 20 minutes drive from Calais. We stayed here before as it's handy for the tunnel. It's been a sunny although very windy day - in fact it's been windy all year. I was up first this morning and bought a baguette and two croissants from the bread van which arrived at the air at about 0915. 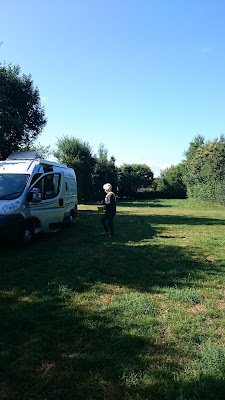 We enjoyed our last breakfast outside this trip, then secured the van and moved over to the service point to empty the loo and grey water and top up with fresh. 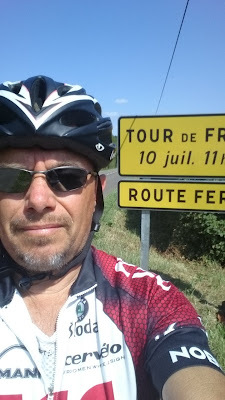 That all done we hit the road, heading for Wissant. I'd also plugged in the coordinates for Leroy Merlin, a large DIY store, as I wanted some special hose fittings for a new type of water fitting on some aires. We stopped off on the way for some lunch and a brew and arrived at Wissant at about 1520. 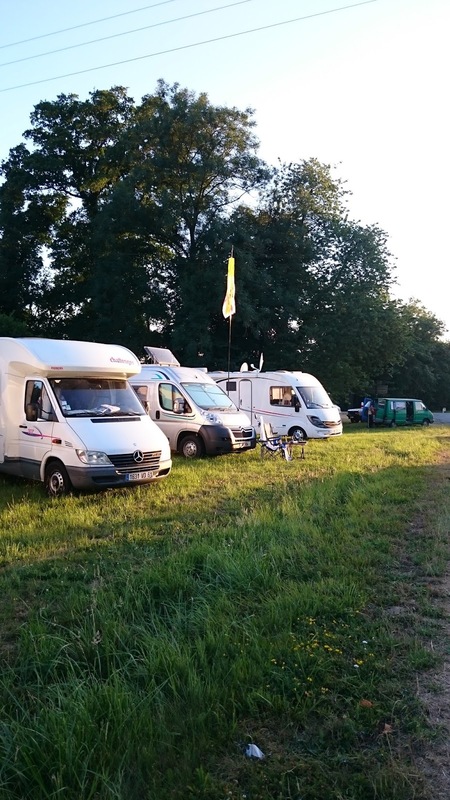 There weren't any spaces in the official pitches, mainly due to other vans selfishly taking up space for awnings and chairs or parking diagonally. 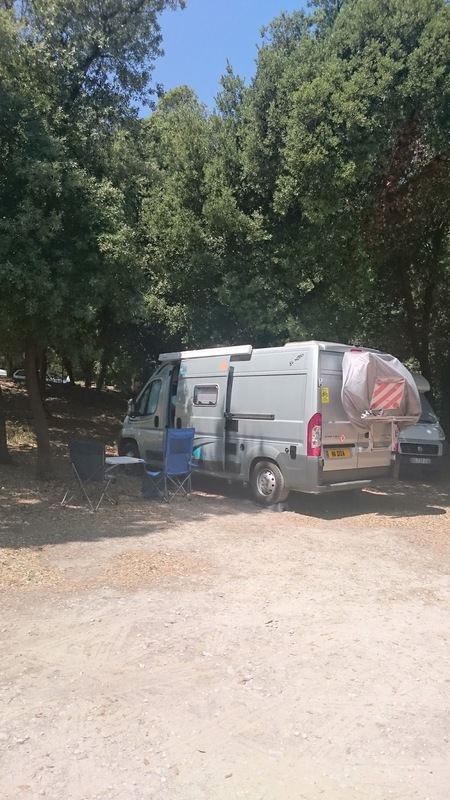 This isn't the idea of an aire; they're mainly parking stopovers, definitely not replacement campsites! But because Nido's small we managed to park up at the side by the fence. We locked up and walked through the village down to the beach. The tide was out but not too far so we walked across the sand for a paddle to cool off our travel weary feet. On the way back up we stopped for a beer then back at the van had another sat in the sunshine (although the continuous strong wind was a pain). Both showered and changed, we walked back to the village square. 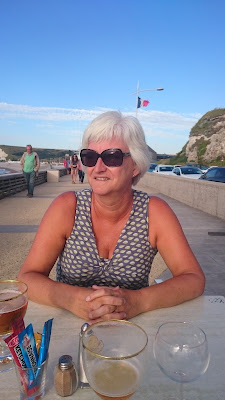 Chez Nicole, which does great Moules, was fully booked, so we tried anothe place, but they had run out of Moules! 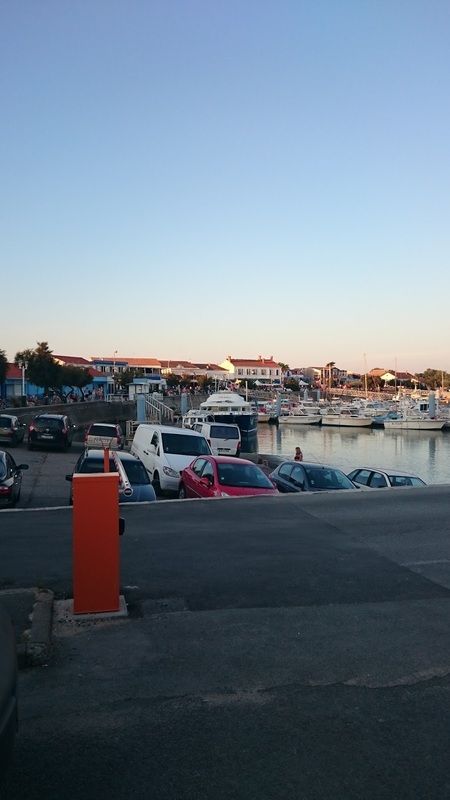 We ended up at a small café that did have Moules frîtes and they were very tasty. We took a longer walk round back the van and I dug out our passports and papers ready for the trip home, then we had a hot drink before an early night. The 0600 alarm tomorrow's going to be a shock to the system! So ends our last full day in France this trip. We've had a relaxing time with some great weather. 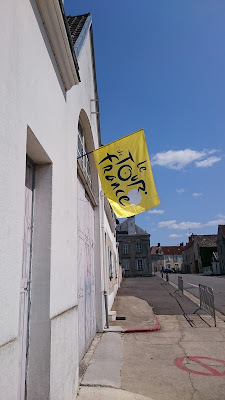 Our time on Oleron was our favourite, but of course for me it was topped by seeing Stage 7 of the Tour de France on my holiday. We could happily keep going for several weeks, although we'd need to find a laundry fast, plus top up the CaxtonFX card with more Euros. This has been a relatively cheap fortnight's holiday, although when we take far longer trips our budget will be far smaller. 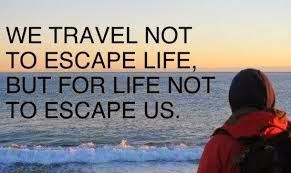 But then we won't be on holiday - we'll be living our life! So it'll be cheap meals, far less alcohol and finding the cheapest (free!) stopovers. So a total of £739 for two weeks' holiday, enjoying good food and wine and not scrimping. When long-terming our monthly budget will be about £1000, so we'll definitely need to make savings, but that's easily done. In all, door to door, we travelled 1,909 miles at 32.4 miles mpg. It's been a cracking day - my birthday spent with the lady I love, watching the Tour de France - a perfect day! By the time we went to bed last night there were about 30 vans on our patch - a good mix and all friendly. I woke up this morning and went out to ditch the gash before anyone woke up. I also tried to nick one of the Tour arrows for the Tacky Shack, but it was tied on with wire! 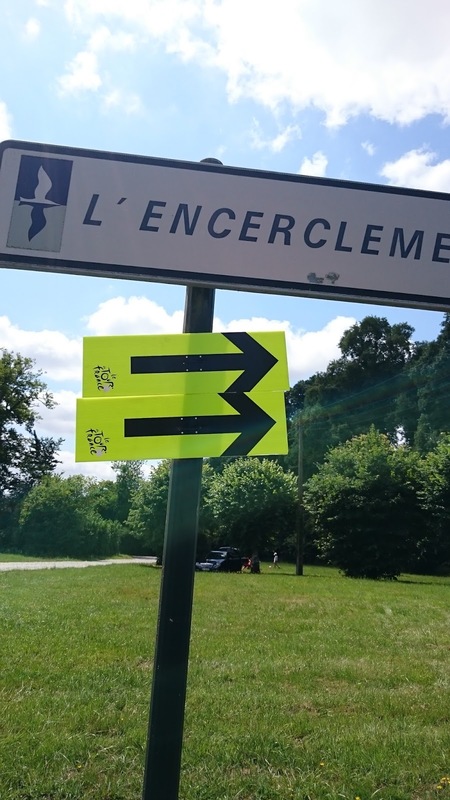 I had coffee and half a baguette sat outside while Cathy showered and changed, watching the Tour preps and not quite believing I had slept and was 'living' not 10 ft from the route! It was a great atmosphere as time went on and more people arrived. A bit later on a guy called Mark came over and asked if we were on holiday. 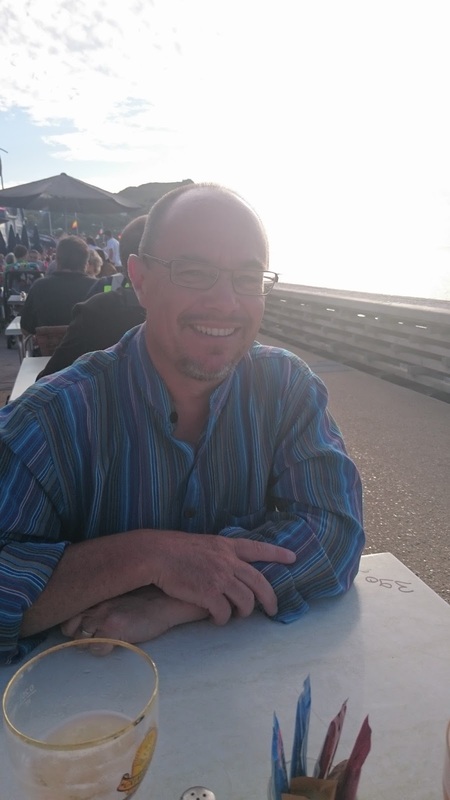 We got chatting and he'd lived in France for 14 years but was originally from Leigh Park near Havant and had lived in Gosport - small world! He'd met and married a French lady and had two daughters who spoke mainly French now. His French was good and we chatted about immersing yourself in the language. 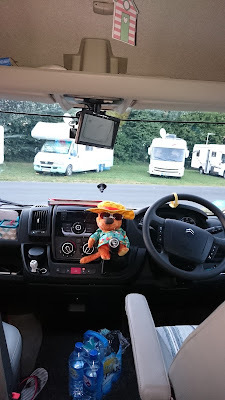 He was particularly useful when some completely mad French woman tried to grab everyone's stuff thrown out by the caravan, giving her a good telling off! After the caravan it was over two hours before the riders came through - a small breakaway a few minutes ahead of the peloton - fast and furious then been and gone! For the couple of minutes they they cycled through I didn't spot any famous riders. We said our goodbyes to Mark - nice guy - then had some lunch before packing up. I said 'Au Revoir' to our French neighbours and gave the boys my TDF magazine - hopefully it'll improve their English! 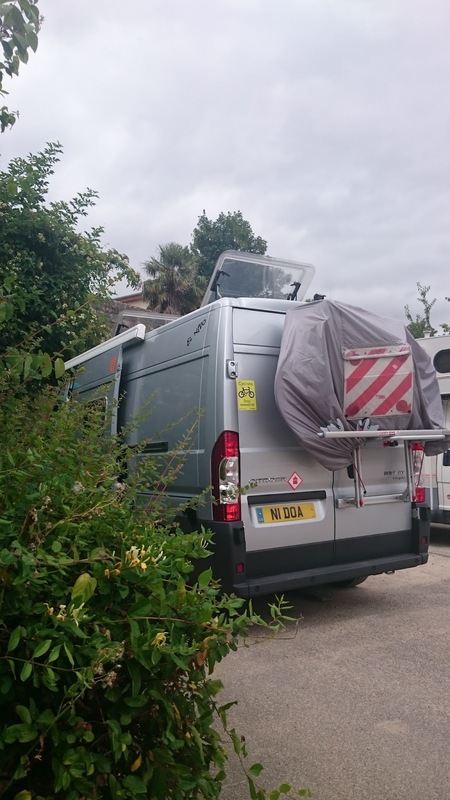 Packed up and ready to move, I dialled in our next stop - an aire right on the coast at Veulettes-sur-Mer. It was about a 3 hour drive, but the satnav didn't factor in the ferry crossing over the Seine at Bac de Quillebeuf. We'd been here before, travelling in the other direction and panicking that the satnav was playing up! But this time we knew what to expect. We arrived at about 1830, paid up, had a quick visit to the very stony beach, then washed and changed for dinner. 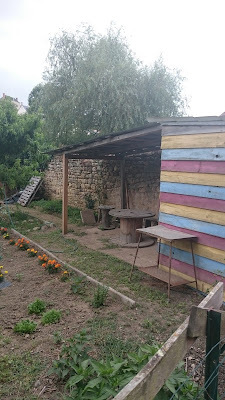 We walked past a little shack doing basic brochette, frîtes and beer - how I wish we had stayed there! 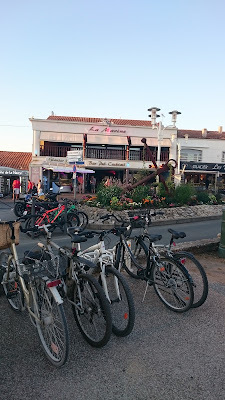 We stopped at a bistro next to the beach which was pretty full with locals -usually a good sign. 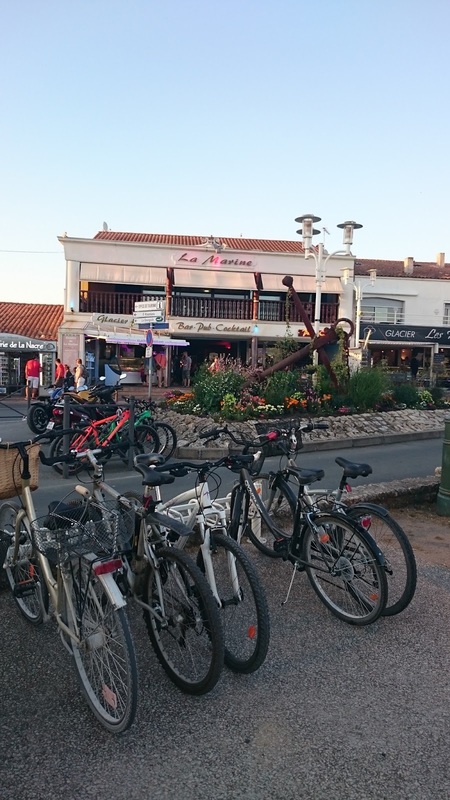 We had a beer and ordered our food - calamares, then steak for C and Moules frîtes for me. The calamari was clearly frozen and the tartare sauce tasteless - we told them so and waited for our mains. Cathy's 'medium rare' steak was burnt to a crisp and like old shoe leather. My Moules were full of sand. The worst meal ever in France. We complained and I only paid just over half of the bill - just shows how they rip off the tourists in Northern France. We walked back to the van and enjoyed the last of the light before retiring to the warm, cozy interior of the van. So ends another Birthday. A lovely day spent with Cathy watching the Tour. Hopefully in three years time we'll be planning our first long trip in retirement - still, three years is a long time ....... watch this space. Morning coffee next to the Tour route - perfect! Before our rubbish meal arrived! We're parked on a grass area at the junction on the D926 and D26 at a place called La Tête au Loups. It's at a great spot for tomorrow's Tour stage from Livarot to Fougères. 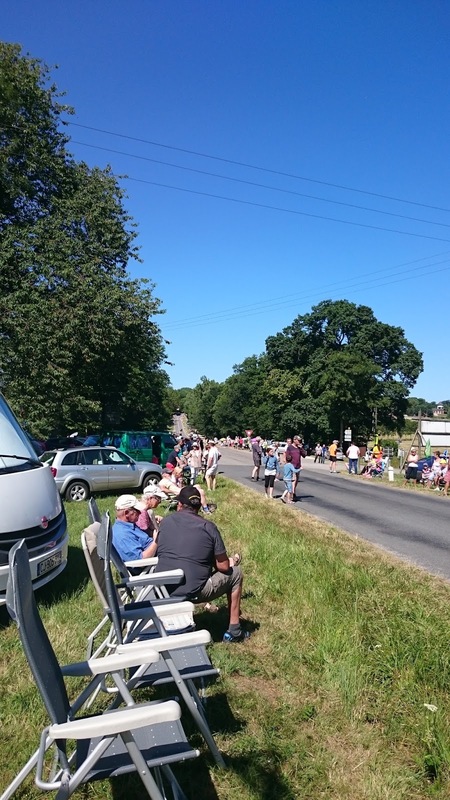 It's at the top of a hill and at a junction so we'll have a great view of the caravan, cars and riders. When we arrived there were about 3 motorhomes, now there are about 15 - all nationalities, mostly French, some Belgian, one German (who keeps eyeing up the Battle Ensign flying from my flagpole!) and a couple of Brits. It's 2030, there's still loads of bright sunshine and we're well fed and watered. I've been for a ride along the tour route, the Tour will pass within 6 feet of me tomorrow and it'll be my birthday - perfect. The only thing missing is my wingman Ray - he'd love this. 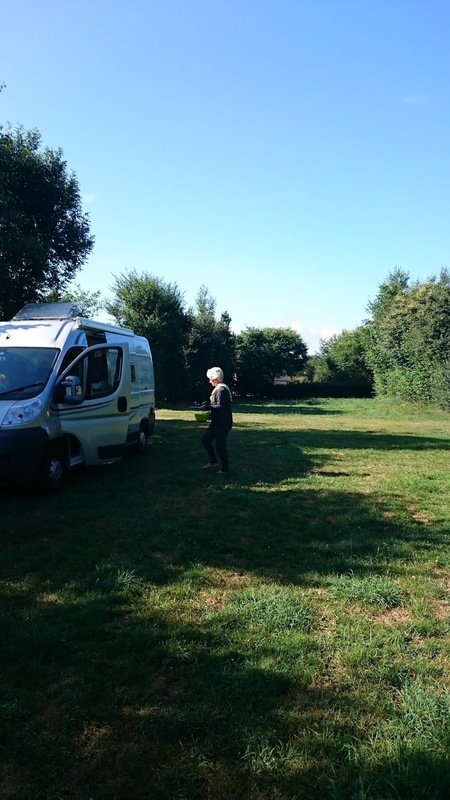 We slept well last night on our quiet rural aire and woke to blue skies, so we enjoyed breakfast in the sun. Packed up, I drove over to the service point. It said in the book I needed a token, but all the water was on so we were able to empty and fill up for free. So we've learnt now to check them on arrival - if it's free we can wash clothes and have a long shower. On the route up we stopped at an Intermarché for food and drink. Cathy was very impressed with the outside laundry - two machines and a large dryer. The plan was to navigate to a point on the tour route and then follow it up until we found a place to stop - which we did and it's perfect. On the way we past the many fields of sunflowers - beautiful. On arrival we had a spot of lunch then I prepared my bike and kit to cycle part of the Stage 7 route. I left the pitch and cycled up the route (in reverse). 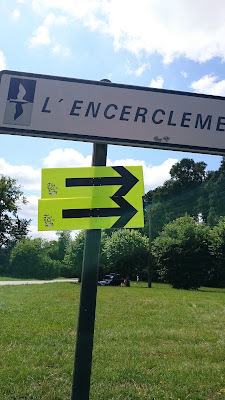 The first few hundred metres were downhill then there was a long, 2 mile climb up to the village of Exmes. The bunting was up and they were clearly looking forward to tomorrow. After that it was a series of hills, along narrow roads and through woods - could make for an interesting stage tomorrow. I turned left onto the D26 and continued through Omméel and into Chambois. 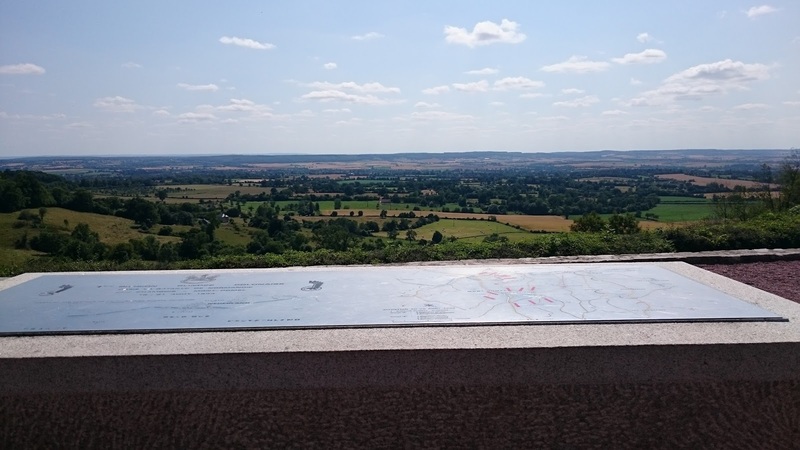 I stopped here to look at a memorial; it's one of ten of what's known as the Circuit of August 1944, key points in the battle to retake France. Another 6km on - and all uphill! - was the Mémorial de Montmerel. This key point is where the Polish and American forces met, having closed the circle on the retreating Germans. During the ensuing battle over the next month 50,000 Germans escaped, 10,000 were killed and 40,000 injured. I took some time to reflect then started the route back, this time following the yellow arrows of the route. Back at the van I topped up with water, had a brew then showered before we had dinner. Cathy prepared the salad and I fried some onions and cooked the sausages for our hot dogs. We sat in bright sunshine at 1930 eating a good dinner with a glass of rosé, watching other vans arrive. Clearly some of them are Tour Groupies, as they already had a collection of the yellow direction arrows on their dashboard and windows - I need to get me one of them! We're enjoying the evening now, finishing our wine, chatting to our French neighbours and also the one British couple here. 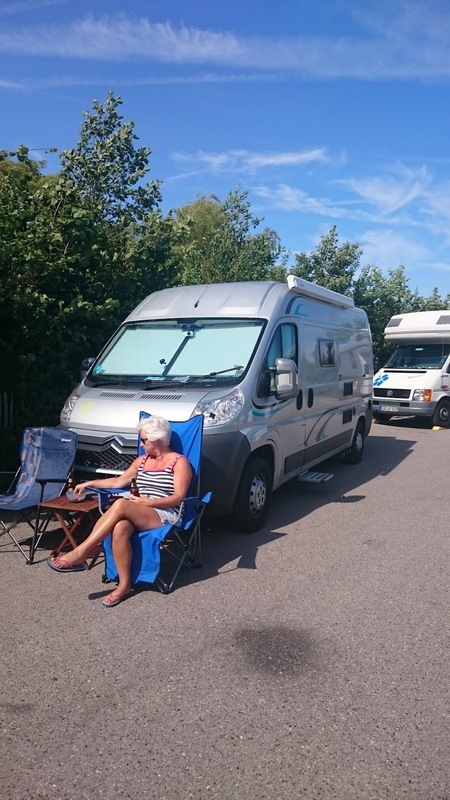 Cathy said she can't believe she's enjoying sitting by the side of a busy road so much and wants to follow the tour when we retire - result! Tomorrow is going to be a good day - the forecast is hot sunshine and we have the excitement of the Tour to look forward to. It doesn't get much better than this! I SO wanted to knick one of those signs! Hey - that's my Birthday! 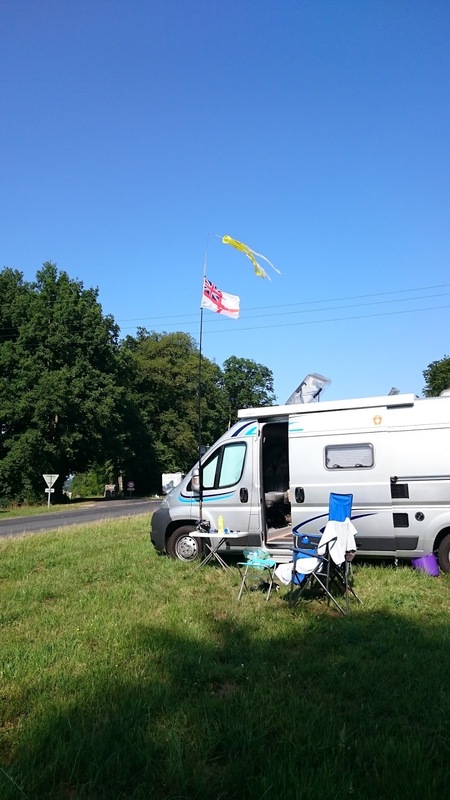 We're on a lovely free aire near at Etang de la Fonderie, near Jublains in the departément of Mayenne. 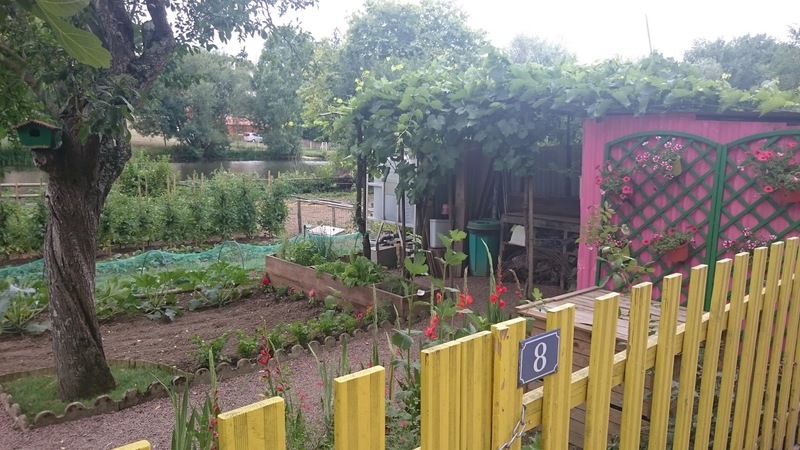 This is a rural peaceful spot, next to a boating, swimming and fishing lake. The pitches are mainly on grass, the pitch areas broken up by tall hedgerows. There's room for about 50 vans, but there are only 3 of us here at the moment. We were woken early at Thouars by the bin men at about 0500 and the builders, working on rebuilding the city walls at about 0630. It started grey but was clear blue sky as we set off. Breakfasted, waste dumped and topped up with fresh water, we continued our journey north. The clouds built and it turned windy, with the temperature struggling to hit 18'C, chilly after the last week or so of 25-30'C, but still OK to stay in shorts. We stopped off at an Intermarché to buy some lunch - whole cooked prawns and bread, plus dinner - duck breast, haricot beans and carrots. The journey was mainly on flat roads, the first half cheered up by fields of tournesols (sunflowers) and vines, with mainly family run Domaines along the route, the second half was mainly wheat and cattle farms. 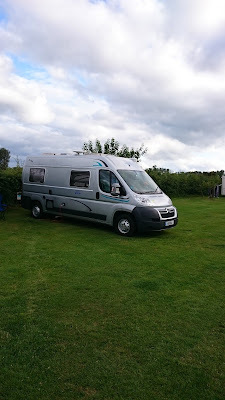 We arrived at the aire at about 1245, found a pitch on the grass and sheltered from the wind and sat outside for lunch. We had a walk around the lake which had a couple of quieter, wilder areas. Back at the van I grabbed my fishing tackle and with my limited bait (cheese and bacon!) spent a couple of hours drowning it - not a single bite! 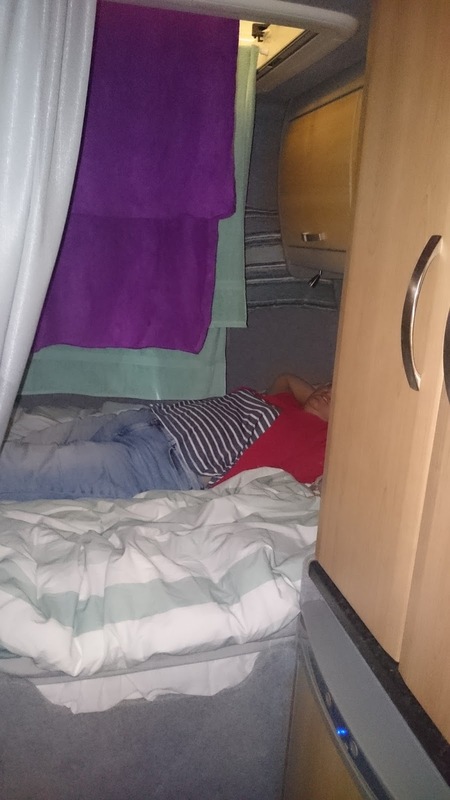 Cathy had a snooze and when I returned to the van I did similar - a welcome, lazy afternoon. We enjoyed a brew sat outside, then I prepared dinner: first the carrots were cut in half lengthways, marinated in salt, pepper and olive oil, and set to cook in the roasting tray on the Cadac BBQ. After a few turns and the lid on, the duck breasts were added, skin down to allow it to crisp and the fat to escape, the turned and lid on to replicate a few minutes in a hot oven. In the meantime the haricot beans were flashed boiled, then drained and I added a knob of butter, garlic and lemon juice. Whilst this cooked we had a G&T apéro, sat outside. 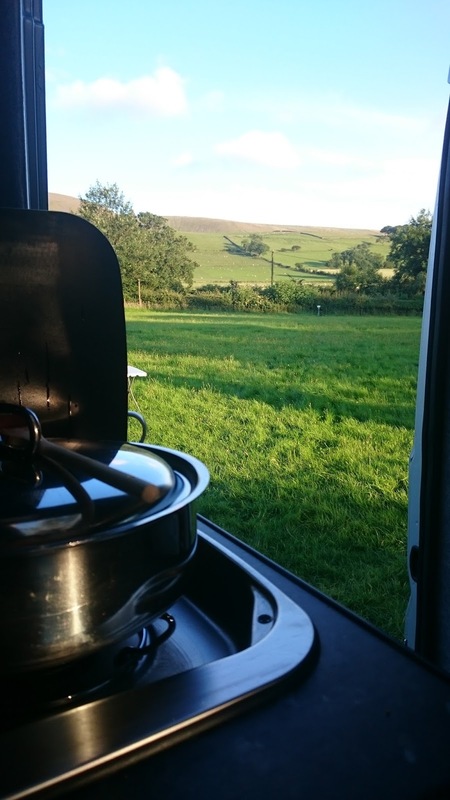 It was a delicious dinner, enjoyed with a bottle of Samur sparkling wine and in isolation, as we had the whole 55 pitch aire to ourselves! We washed up outside then had a walk into the barley fields to catch the last of the sunlight, before returning to the van for some hot chocolate. 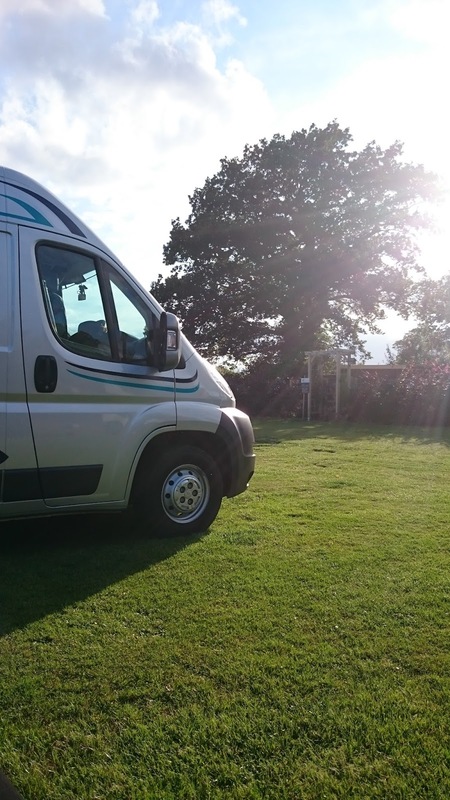 With a relatively short drive it's been a lazy day today, just chilling out, relaxing and sleeping (oh - and eating good food!). Tomorrow we have a short 1.5 hour hop to Argentan, which is on the Tour Stage 7 route. 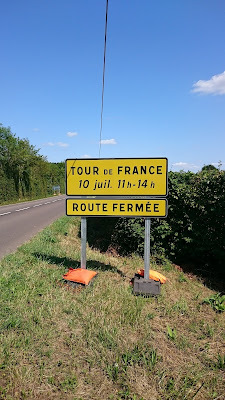 From there I'll drive up the route towards Livarot, to find a suitable spot to park up for the night, ready for the great Tour de France spectacle on Friday. Until then, the complete silence here is making my ears ring, plus with no light pollution we should sleep well. For the first time since we left Normandy we've put the quilt back on the bed. Let's hope tomorrow brings more sunshine. Anyone know who's wearing the maillot jaune in the Tour? We're staying away from Wifi and news, so I'm not up to date with the tour. 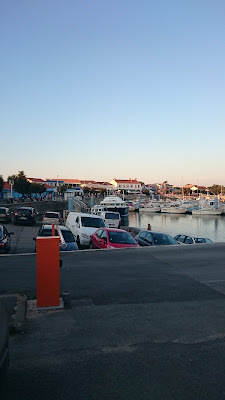 We're on a small aire next to the municipal campsite just outside La Cotiniére, a working fishing port with lots of restaurants - even a fish and chip shop! 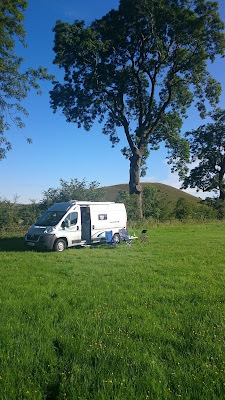 The aire is basic but at least has some shade from trees and space to hang our washing line. We packed up camp this morning after 4 nights. 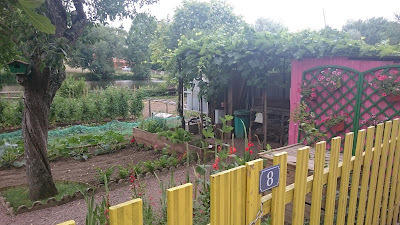 We enjoyed putting down roots for a short time and got to say hello and good evening to our neighbours and watch the children play (and occasionally paddy when they could no longer play!). I paid up and we drove a couple of hundred meters to a car park in order to walk up to the market to buy some food - tonight is curry night! It was a short, 20 minute bimble down to this aire. We picked out spot and set up the table and chairs and had lunch. You're not supposed to get anything out on an aire, just park and use inside the van, but everyone does it in France, so who are we to buck the trend. The beach was about 100m away, through the campsite and over the dunes. It was a very hot still day and we'd forgotten the tide was out. There was loads of seaweed and rock pools and we cooled off in the shallow water. It took about 3 hours for the sea to be deep enough for swimming, so after a dip we'd had enough sun and walked back to the van. On the way we used the free cold showers, perfectly fine for us so all we had to do back at the van was dry off, slap on some body lotion and change, then hang the wet stuff up on our line. Dinner tonight was Thai green chicken curry and rice, made from a kit but with extra garlic, onion and chilli, cooked and eaten outside. 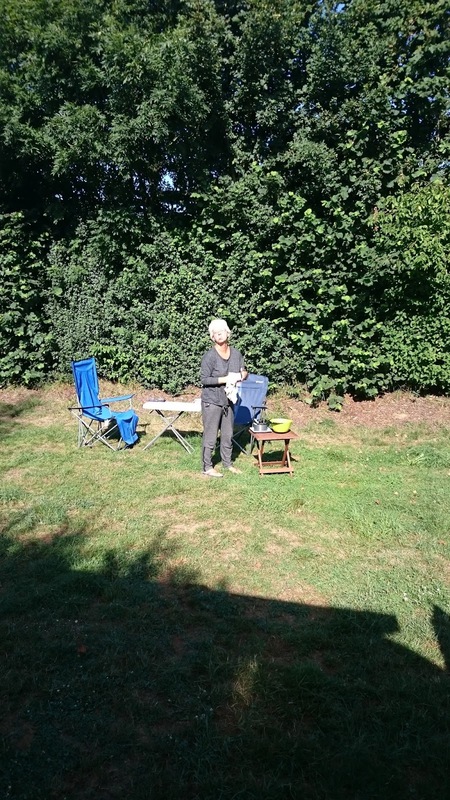 We also washed and dried outside before packing up and walking to the centre and port area in town, as the sun started to set. 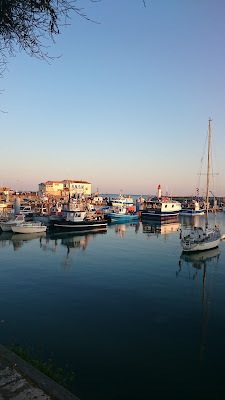 It was a lovely cool walk and the waterfront was very busy with restaurants full, shops open and people queuing for ice creams, as we did. The fish and chips looked very tempting (at least I was tempted, Cathy was too full!). 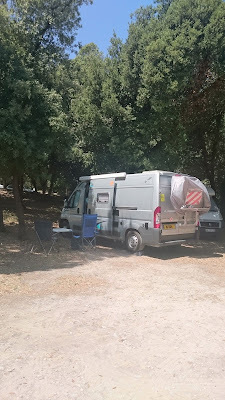 Now back at the van, we spotted a boulangerie just a few metres from the campsite, so that's breakfast sorted tomorrow. 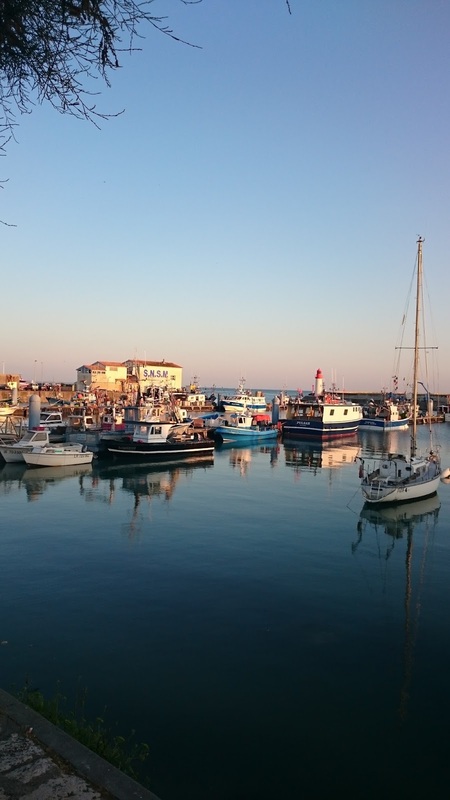 This will bring an end to our week on Ile d'Oleron. We've really enjoyed being in one place and with very limited driving. This is probably our last beach day as we start to head inland towards Livarot, for the tour, and ultimately back to the tunnel. 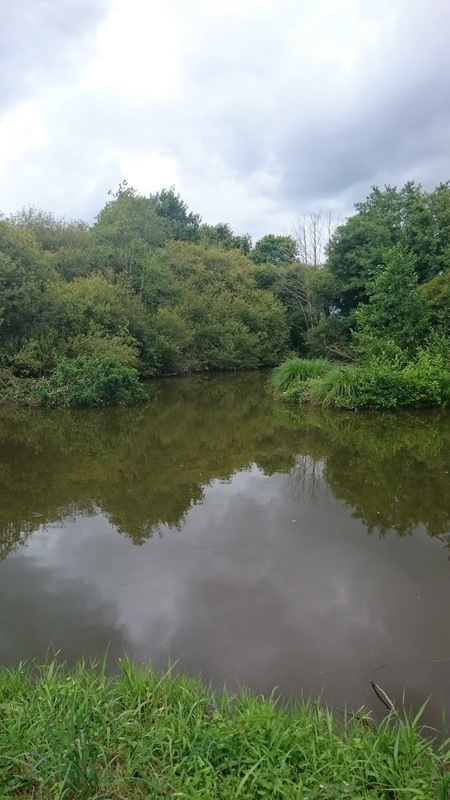 But we're ready for a change, perhaps looking around some old towns and villages and we might come across some good freshwater wild swimming spots. So we still have some adventures ahead of us.